You probably perform a few dozen Google searches a day. Unless you’re us. We probably do a few dozen an hour! You type in a few words, hit enter, scan the results for a second, reword your search phrase, hit enter again and repeat until you find what you’re looking for. What you may not know is exactly how precise you can be with your search terms, all without ever having to click the somewhat hidden Advanced Search feature. You do know about the Advanced Search feature, right? Hey, it doesn’t matter we’ll show you how to do it straight from the search box. Wrap your query in quotation marks. Then it limits the query to the exact wording. “Center Street Cafe” instead of Center Street Cafe. 5. Search a date or number range. Looking for a product and only want to pay a certain price. Well, you can narrow down that search with this simple tip. That will return all pages that link to the Center Street Cafe website. There are plenty of others. Track your packages. Unit conversions. 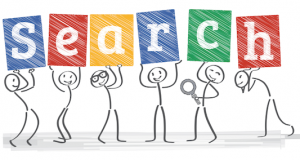 Do you have any other Google search tips? Do you use something else for search besides Google? Google search is a very powerful tool. So use it wisely.